Because, apparently, normal surfboards are too mainstream. For many of us, surfing is already an extreme sport that should be tackled with caution. 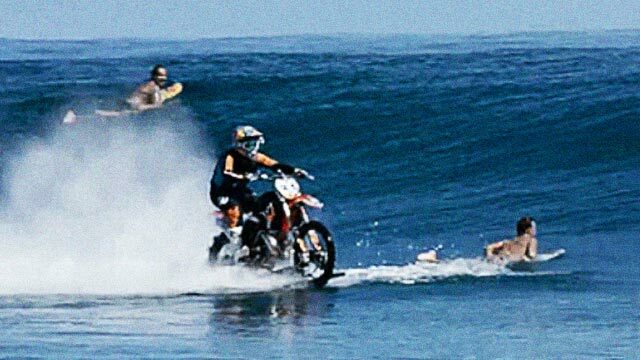 Not for surfer-stunt biker Robbie Maddison though, who thinks riding ginormous waves using a surfboard isn't manly enough, he just had to make a few "adjustments." The end result: A contraption that flashes the middle finger at sanity and a feat worthy of the viral treatment. Yes, you just saw our man Robbie using a surfboard-dirt bike hybrid to surf because, why the hell not?